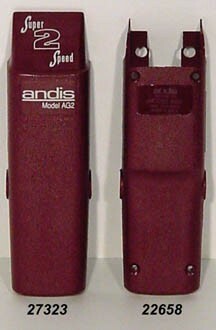 Replacement top case for an Andis Super 2 Speed clipper. Item # 27323 color, burgundy. Replacement lower housing for Andis AG Super 2 Speed clipper. Item # 22658 color, burgundy. inventory is limited to supplies on hand!